I understand that Roth contributions get taxed on the way in. Income tax now at whatever tax brackets currently apply, no tax to pay when I take distributions at retirement. I understand regular pre-tax 401(k) contributions get taxed at retirement as part of my ordinary income and at whatever tax brackets apply at the time of those distributions. Basic Example: Invest $100 today. Market up 10 fold over 30 years. No change to my tax brackets. If my $100 was invested in a Roth on which I paid income tax at a rate of 20% ($20) on the way in, I'd withdraw $80 * 10 or $800 in 30 years. No further tax, all for me. Investments in both Roth and regular 401k pension accounts are not subject to any further capital gains tax or anything like that. Is the following statement true?? The ONLY thing to consider when deciding between ROTH and pre-tax 401k accounts, is what you think your tax bracket might be when you wish to take distributions. Personally, I view Traditional/ROTH as another form of diversification. Sure, you can look at existing tax tables and come up with what is the absolute most efficient option. BUT, over 30 years your income is going to change, the tax tables are going to change, and it's possible that the laws surrounding retirement accounts might change. So no, I don't agree with your statement. No, not always. I would also add that your tax bracket at the time you invest also makes a difference in some cases. For example: if you make very little (like a teenager summer camp job), will not have a tax liability, and have the option to invest all your earnings in a retirement account, it would be better to put it in a Roth. That way you aren't paying taxes now or later! One thing that's not been fully mathed here is that deposits into a pretax 401(k) are at one's marginal rate, but withdrawals at the average rate. Say that while one is working, they make $100K/yr. With a $12K standard deduction, they are in the 24% bracket, but would drop below, so let's use an average 23% saved by using the 401(k). Now, at retirement. They withdraw $80K/yr, an 80% replacement rate. $68K is taxed, for a total tax bill of $10,900 or an average 14%. The point is that when you use the phrase "future tax bracket," I hear "marginal rate," and it seems like you are forgetting that each bracket needs to be filled first. Do you see that at retirement if one has $212K in taxable withdrawals, $200K is taxed at $45,690, an average rate of 21.6%? The above thoughts led me to write my award winning post titled The 15% solution which, given the new tax code, needs updating, but its premise remains true. I'd recommend earners in the marginal 12% bracket to use Roth, but as their pay/income increases so they are pushing 22%, use pretax accounts to set that money aside. As others noted in comments, if one uses the regular 401(k), but has a low income year, a conversion may make sense. Pay the tax at the lower rate, then back to pretax savings in the next higher rate year. The main thing to consider when deciding between ROTH and pre-tax 401k accounts, is what effective tax rate you'll pay on your distributions, compared to the rate you'll pay now. If you can afford to max out the 401K regardless of whether it's Roth or Traditional, you're effectively getting more into a tax-free growth vehicle with the Roth. The same is true for Roth vs Traditional IRA if you can max it either way. At age 70.5, 401K plans force required minimum distributions (RMD) to occur. However, a Roth 401K can be rolled into a Roth IRA which does not have RMD, effectively side-stepping the requirement. There are some additional differences that can make a difference that I have not seen mentioned yet here. Traditional IRA contributions subtract from your Adjusted Gross Income, while Roth contributions do not (Traditional 401k contributions subtract from both Adjusted Gross Income and Modified Adjusted Gross Income, I believe). In addition to the obvious effects of changing when you pay your tax on the investment that have already been mentioned, a traditional IRA contribution can cause you to move below certain cutoff dollar amounts of income that trigger different tax treatment in other parts of your return. As an example, if you are half of a married couple filing joint taxes for 2018 and your Modified Adjusted Gross Income would be 190,000, not only would your contribution limit to a Roth IRA be reduced, but your spouse's would as well. If you instead contribute to a traditional 401k, your MAGI will now be below 189,000, and your spouse can make a full contribution to their Roth IRA. Similarly, I believe it could also push you below the breakpoint to get a 0% tax rate on long term capital gains from other investments if you are near the threshold. There are probably other examples of cases where there are benefits or drawbacks to reducing your AGI embedded in the tax code. Being able to manipulate your AGI in this way may or may not be valuable depending on your situation, but it is something to keep in mind. EDIT: I got the tax treatment of traditional IRAs wrong in my initial example, by forgetting that traditional IRA contributions get backed out of your AGI during the MAGI calculation; I modified it slightly here so it isn't wrong anymore (I think), but now it's more of an example of a case where there is a difference between a traditional 401k and a traditional IRA than Roth vs. Traditional IRAs. The general point that you can generate different tax treatment by passing breakpoints in the tax code is not wrong however, its just sometimes complicated. Forgetting about the effect of taxable IRA income on the future tax liability of Social Security income is a big mistake. IRA withdrawls can trigger additional tax on SS, vastly increasing the effective marginal rate. Remember when contributing, it's the incremental tax bracket (the tax on your next dollar) that matters. Dividing your AGI by your tax will mislead you. You are trying to model IRAs with an arbitrary $100, but that presumes unlimited contributions are possible. Real world you have contribution limits. Joe earns an extra $5500. He puts it into a traditional IRA. His IRA grows to $55,000, and after paying your 20% bracket, he gets $44,000 out. Tom earns an extra $6875. He pays $1375 of taxes on it in your bracket, leaving $5500. He puts it in a Roth IRA. His Roth grows to $55,000, and after paying ZERO TAX, he gets $55,000 out. I can hear your objection now: "The ratio is the same! 44000/5500 = 55000/6875! = 8/1" -- True. But Tom was able to save 25% more for retirement using the Roth instead of IRA. The difference is much more extreme when using real world numbers like 28% Fed/11% Calif, where now the difference is 39% instead of your 20%. Run the numbers in a 39% bracket, but I get "64% more", might've flubbed something up. But tax brackets are not fixed! Let's talk a third case: Chuck. Chuck earns an extra $5500. He puts it in a traditional IRA. His IRA grows to $6000 to make the numbers round. Chuck has a "gap year" where he takes the year off. He converts his IRA to a Roth. His effective tax bracket is 5% (splitting the 0-10% brackets) so he has to pay $300 out-of-pocket. This tax does not come out of the IRA money, so full value transfers into the Roth, now worth $6000. The usual appreciation continues, and he finishes with a Roth worth $55,000, pays zero tax, and gets $55,000 out. Note that 55000/5800 is considerably better than 8/1. How??? Chuck scored the "best of both worlds" because he gamed the tax brackets for all they're worth. I've done exactly this. It works. You can't armwave tax brackets. They matter. I realize it is 2018, and "emergency funds" are passé. However I for one still believe in them. All the money you have contributed to a Roth, you can make a one-time withdrawal without penalty. (it cannot be replaced, you set your retirement back if you do this). This means your Roth can serve as part of your "emergency fund", liberating cash for other purposes. People who believe in emergency funds have rules about what they consider "valid money". They do not like money invested in the stock market, because the market can fall dramatically, and since stock downturns often coincide with recessions in general, this is most likely when you are laid off and struggle to find work. As such, it's generally considered foolhardy to consider stocks as part of your emergency fund. Now, I'm not quite that extreme. I say you can consider stocks, but you must derate their value by 50-67% to account for their loss of value in a serious downturn. So the $22,000 you have put in the Roth over the past 4 years, now worth $30,000 because of market growth. You are legally allowed to withdraw $22,000 of that (irrevocably: you can't put it back). But by my logic, I count less than $30,000 (and even less than $20,000) as usable -- 100% of the money in cash positions, maybe 80% of the money in bonds, and 33-50% of the money in stocks. That might total out to $15,000 of "trustable money" you could count toward emergency fund. But still, $15,000 isn't nothing! It allows you to reduce the rest of your emergency fund by that much. It would be a shame to withdraw money from a Roth since it is so very, very productive - and a double shame to do it during an economic downturn. But if it's that or feeding your family, at least you have a choice. Traditional IRA is subject to RMD (Required Minimum Distributions) - it will generate taxable income every year after you turn 70.5, perhaps making you unable to enjoy the 0 and 5% capital gains brackets for the equities you hold in taxable. Roth IRA is not subject to RMD in your lifetime (but is in your heirs' lifetime) so you have more perfect control of income in select years and maximum deferment to your estate, in the event you are likely and intending to have an estate. One thing I haven't seen, in any other answer yet, is using a Roth account to advantage for personally-directed investment accounts. One could essentially be a day-trader and ignore the short-term vs. long-term capital gains implications, because all earnings in a Roth are tax-free. No not necessarily. 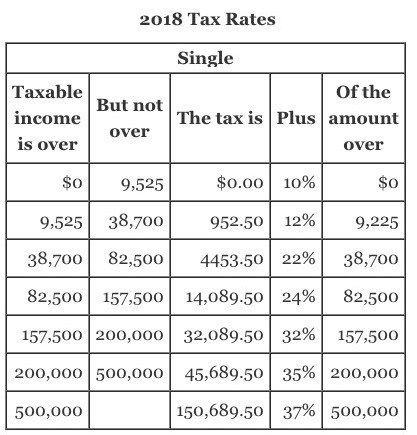 I am sure that others on here can give a more detailed answered, but it really comes down to marginal vs. effective tax rates. You should consider what your retirement might look like, and what kind of income you may receive from your retirement funds and from additional sources (rental properties, patents, hobbies, part time work, etc.). I don't want to make any assumptions about you, but one website I saw after a quick Google search quoted $50k/year as a good reference point for what to expect in retirement. If your current annual income will be below your retirement income, put your money in Roth and take the tax hit now. If your current income will be above your retirement income, put your money in Traditional and take the tax hit later. Roth/Traditional lets you choose when you take the tax hit on your retirement funds, so this strategy helps make sure you are taking the tax hits on the years when your income is the lowest. EDIT - If your CONTRIBUTION is the SAME to either account the ROTH is simply better for the reasons below. If you take the income tax out of the value of the contribution, and your income tax is the same when you withdraw as when you contributed, they work out exactly the same. So, the key point is that Roth withdrawals are free. IRA's shelter the growth from taxes before you withdraw. On ROTH you do not pay tax on withdrawal, therefore you do not pay tax on the gains. This means that all the growth is tax free. For traditional, you are taxed at the time of withdrawal, the gains are not taxed as the fund grows, but the withdrawal is taxed, thus your gains are also taxed as income when you withdraw from your traditional ira. In almost every possible case, not paying taxes on the growth is better than not paying income tax before adding the principal to the traditional. Try to max your Roth before other vehicles. The key that makes a traditional ira attractive is that the growth can compound tax free, and that there are contribution limits to a ROTH that make it unfeasible to have ONLY a ROTH for retirement. The compounded, tax free, growth of a traditional ira will almost always outpace any increase in your income tax bracket that you incur between now and retirement age. I recommend contributing into a 401k only up to the amount your employer offers matching. Take the free money. But, put other contributions into a traditional ira that YOU control. Your company controls who they buy the 401k service from, and this can lead to you not having fund options that fit your investment style. Some companies have better options than others, but this is a general guide to my thinking on 401k. You have made the assumption that my contribution is smaller because I took taxes out of it. My answer is written using the opposite assumption that your contribution is the same, despite having paid taxes on the income before making it. Using the values you provided, I make an additional $31.87 dollars by paying my 20% up front. Not the answer you're looking for? Browse other questions tagged united-states taxes 401k roth-401k or ask your own question.